Mytakas. 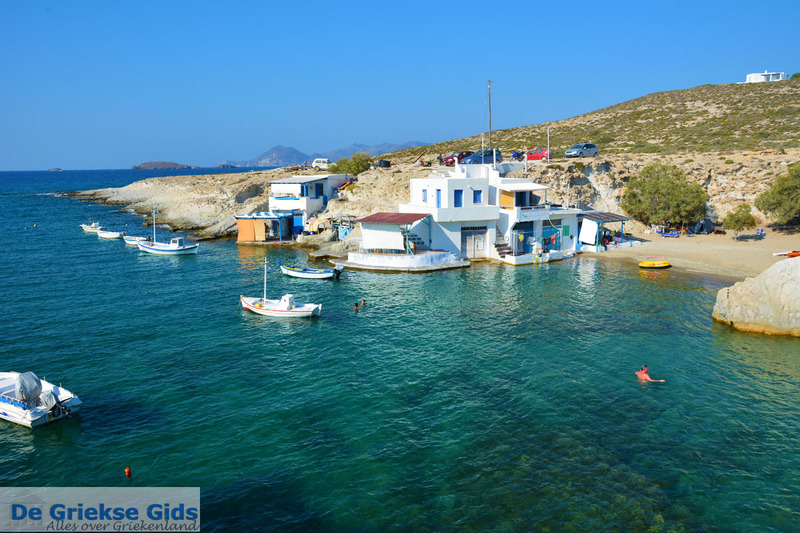 Mytakas is another unique fishing village on the Greek island of Milos. 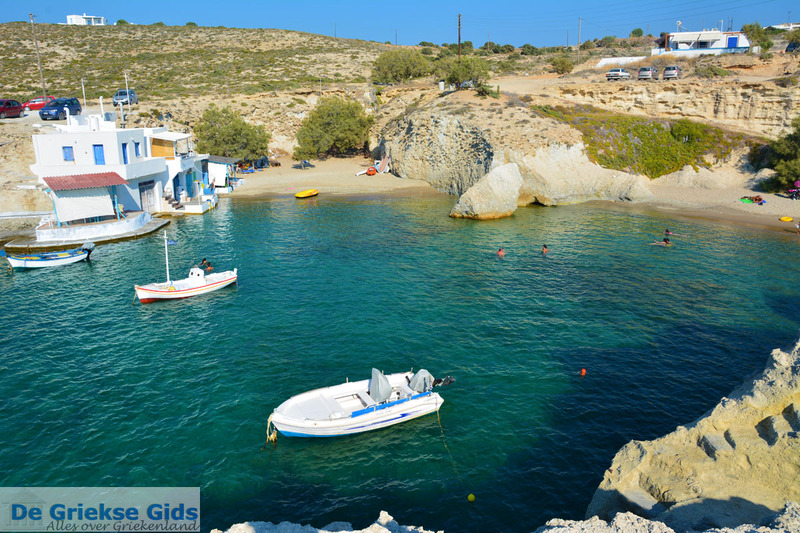 It is located on the route from Plaka to Pollonia and Adamas to Pollonia, right after the exit to Sarakiniko. The road from the main road to Mytakas is unpaved. 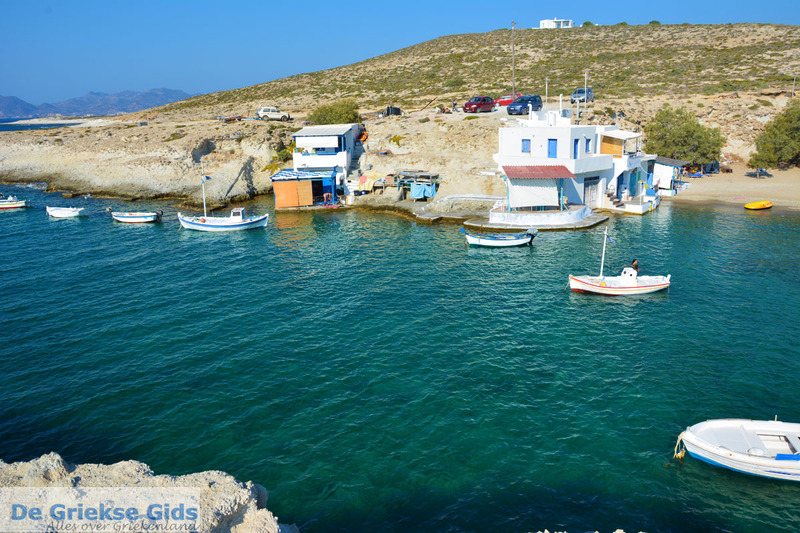 Just like in the villages of Fyropotamos and Mandrakia, in Mytakas are a number of cottages in hollowed-out rocks at the beach, where fishermen lived in the 19th century. The distinctive colorful doors of these houses are beautiful to see. 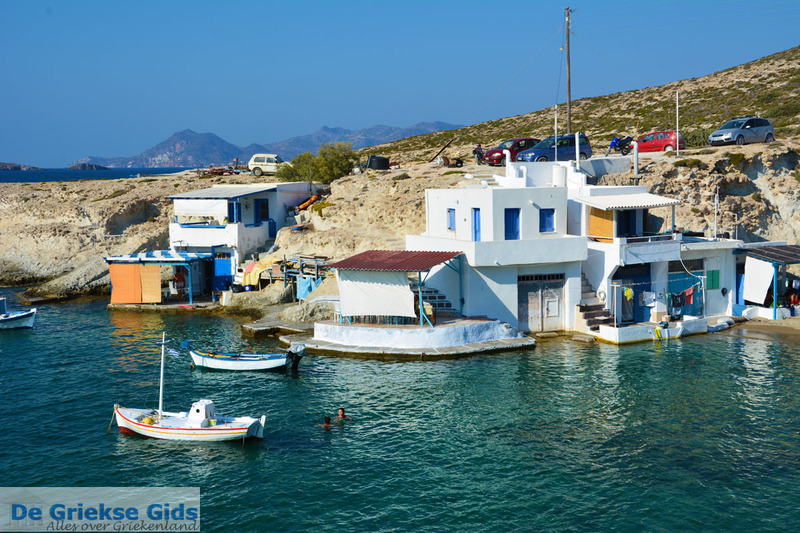 Today, they serve as holiday homes and are rented to tourists. 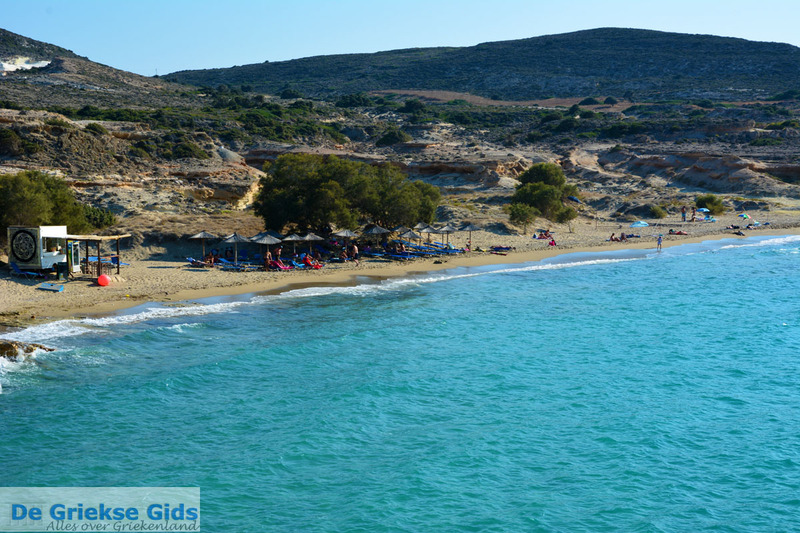 In Mytakas are three lovely beaches located next to each other. They are separated by a high peninsula were you can park. 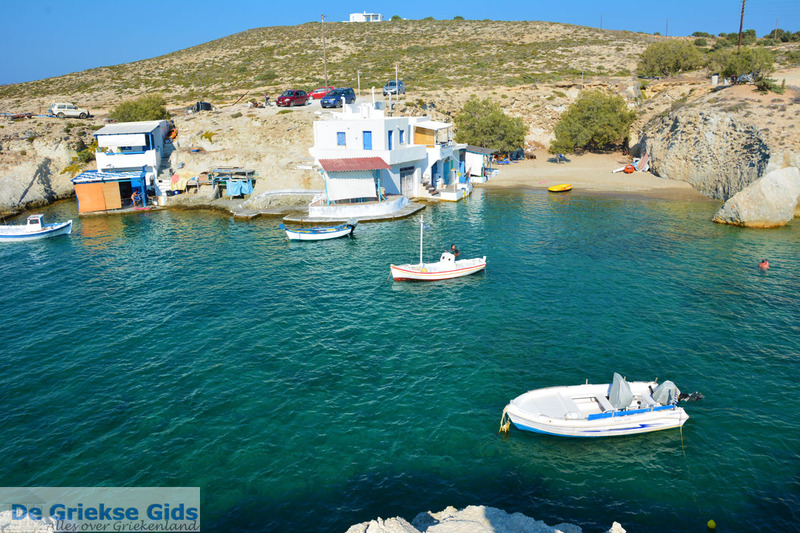 Two beaches are located in the small bay, along with houses. Here boats can dock. 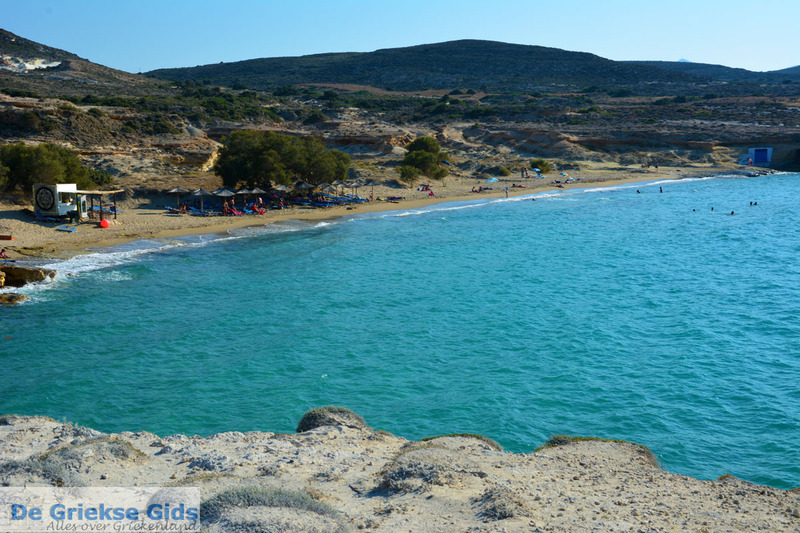 These beaches are shielded from the wind. On these beaches are some trees that provide shade. The larger beach is to the west. 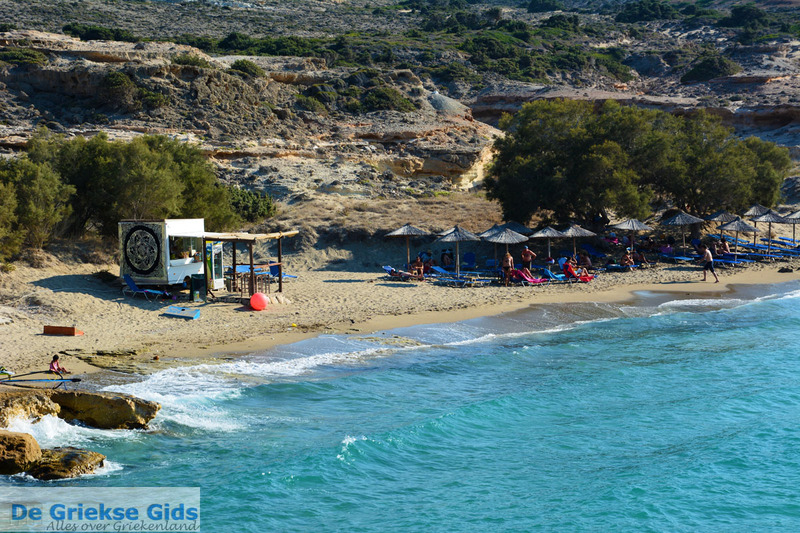 Here you can rent sun loungers and umbrellas and there is a canteen on the beach where snacks and drinks can be ordered. 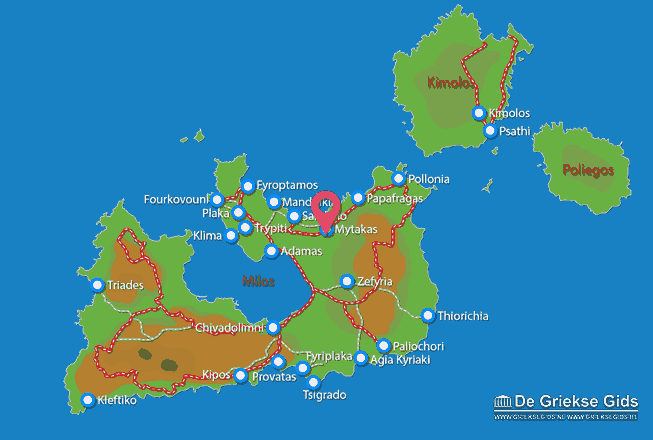 Milos: Where on the map is Mytakas located?